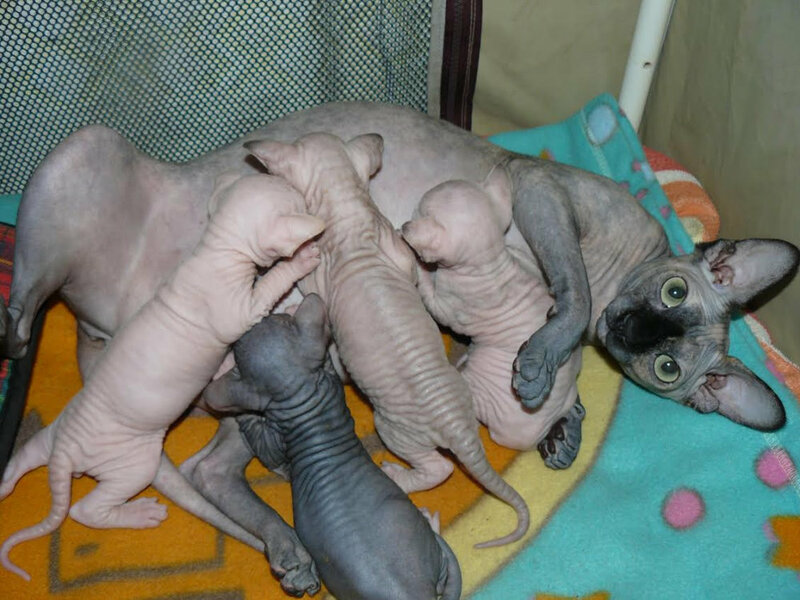 For sale, beautiful Sphynx kittens. Full pedigree and come with a lifetime of support. They will be ready to leave their mum now. 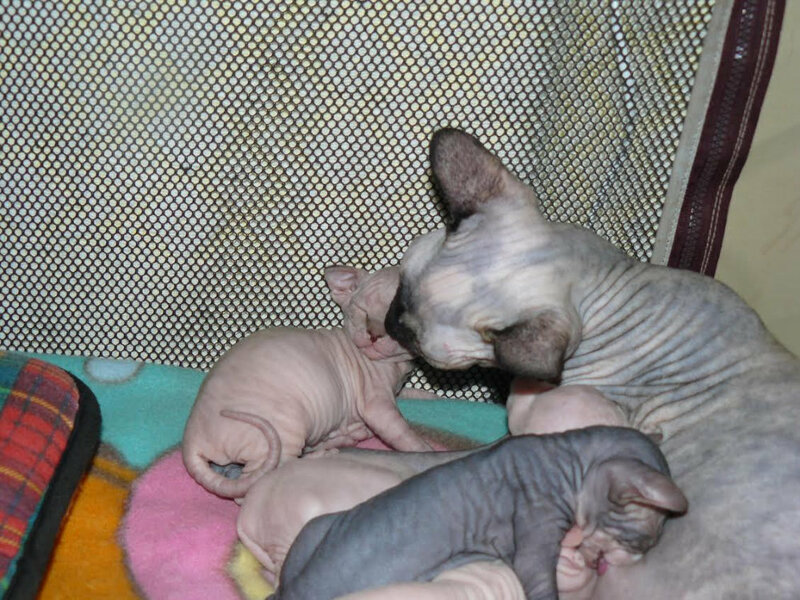 Each baby Sphynx will be fully vaccinated, vet checked, wormed, microchipped, and litter trained. They will be registered with TICA and will come to you with a kitten pack including their medical and pedigree papers. Also, used to their weekly grooming - regular baths, nail clippings etc. Very clingy and cuddly. They have never been caged and have a small cat room to thrive in. We spend a lot of time handling, cuddling and socializing each of them. Food: We use one of the best raw food and wet food in the UK. Gluten and Grain Free diet only. We offer the best start of life to our babies with this recommended diet. Both parents may be seen and have excellent pedigree records. With 4 Generation Certified pedigree, both parents have been scanned and are HCM clear. Each kitten comes with a health guarantee and contract.